Kevlar material throughout the upper ensures unparalleled durability and protection. Mesh underlays in the upper add breathability when your session gets intense. NanoShell midsole is a hard, yet comfortable, TPU shell that supports the foot during heavy lifts and medial and lateral movements. 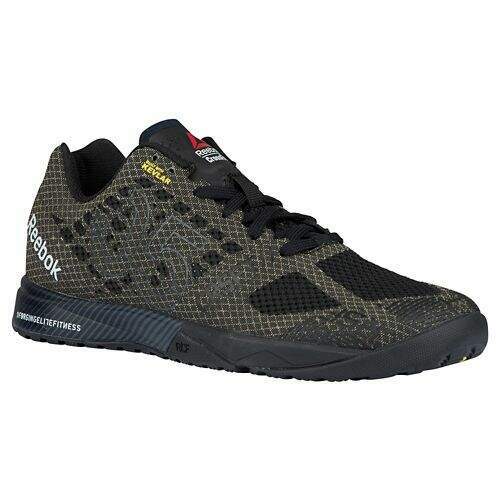 RopePro technology on the carbon rubber outsole allows for better grip and durability during rope climbs. Flex grooves on the outsole offers natural flexibility and traction, so you can explode out of movements. 5mm heel-to-toe drop for a more stable platform.